Take a day trip from Tokyo to check out superb temples and shrines in Nikko and Kamakura, gaze at the perfect cone of Mt Fuji, or even hop on the bullet train to Kyoto. Here, we introduce these famous and some not-so-famous day trip destinations from Tokyo. 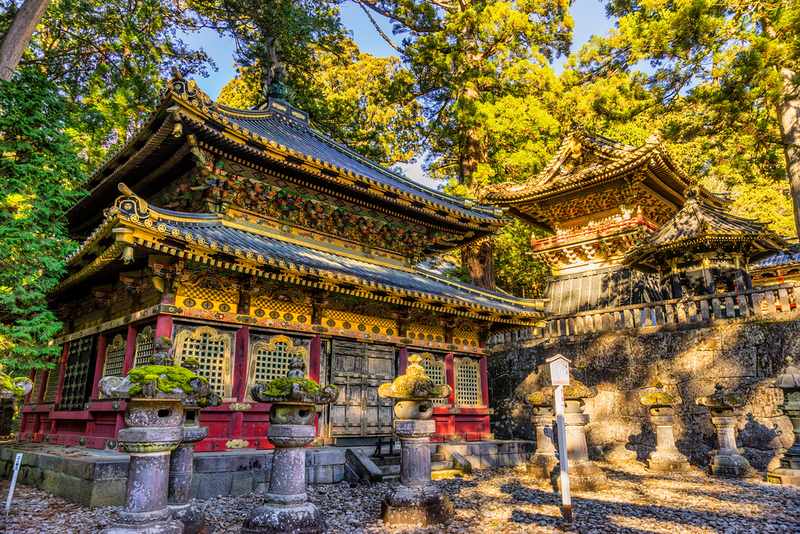 Nikko is home to some of Japan's most colorful temples and shrines. 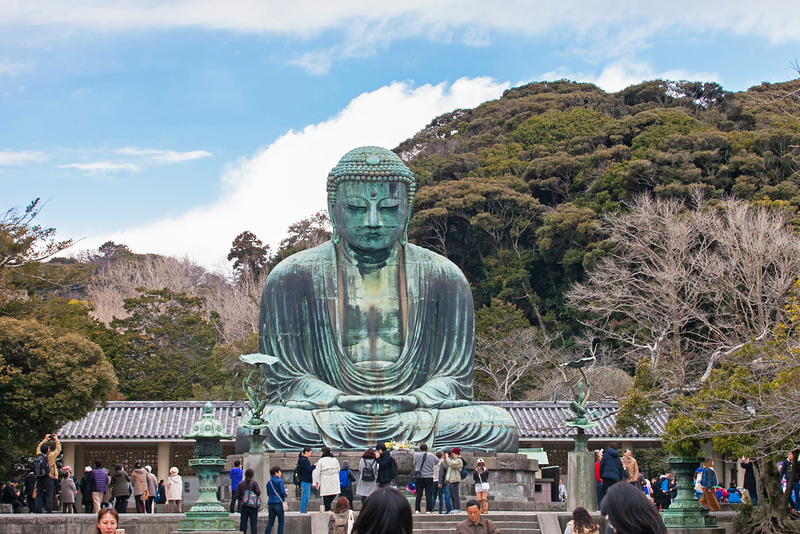 Kamakura has a great collection of Zen temples and an impressive shrine. 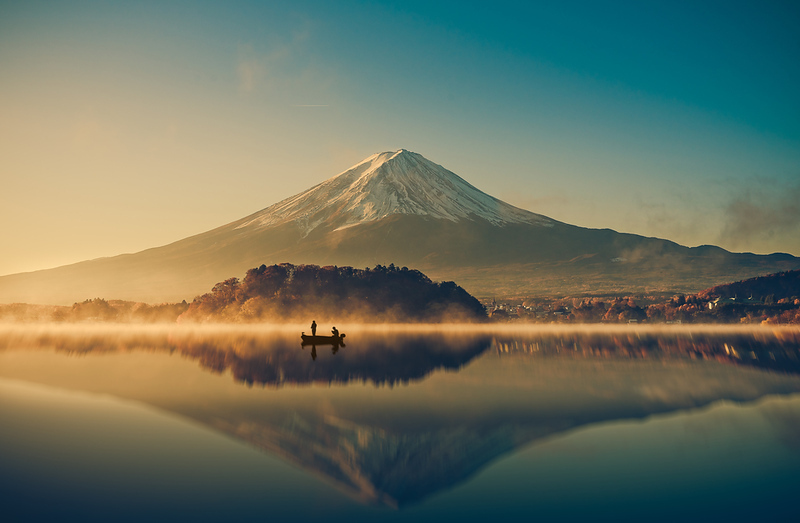 Mt Fuji is a good trip if you want to climb it or just lay eyes on the famous mountain. Kyoto is 2.5 hours from Tokyo by comfortable shinkansen (bullet train) so you can visit it in one long day (but we recommend staying at least one night). If you're travelling with children, Tokyo Disneyland is just minutes from downtown Tokyo. Other great theme parks within daytrip distance include Legoland Japan (Nagoya) and Universal Studios Japan (Osaka). For something different, you could try Enoshima Island, which is popular with Japanese but largely ignored by tourists. 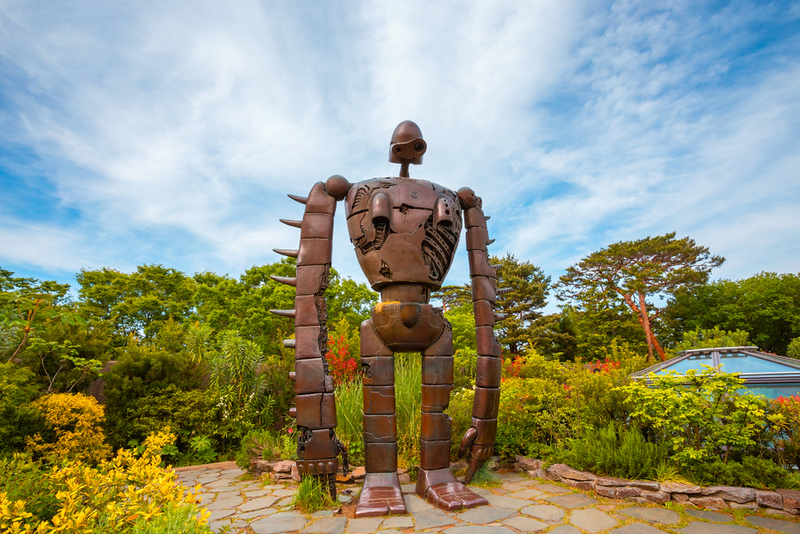 Finally, if you or your kids are a fan of Miyazaki’s great anime films, you shouldn’t miss the Ghibli Museum. About 115km/70m north of Tokyo, Nikko is the home of several grand and gaudy shrines and temples that serve as mausoleum and monuments to Tokugawa Ieyasu, the greatest of all Japanese Shoguns. While most temples and many shrines in Japan are rather austere, these structures here are shockingly bright and ornate. And the entire complex is located in a forest of towering pine trees. Check the Tobu Train Line website for details on direct express trains and special train/temple/shrine admission passes. Highlights: Soaring forests, colorful temples and shrines, nearby ones. About 42km/26m southwest of Tokyo, Kamakura is a pleasant little seaside town that has a nice cluster of interesting sights. The 11-meter-high Daibutsu (Great Buddha) is an awesome sight and well worth a visit. Tsurugaoka Hachiman-gu Shrine is a spacious and impressive Shinto shrine near the middle of town. And, scattered all around you'll find lovely little Zen temples. Kamakura is easy to visit from Tokyo and is a nice change of pace from crowded and bustling Tokyo. 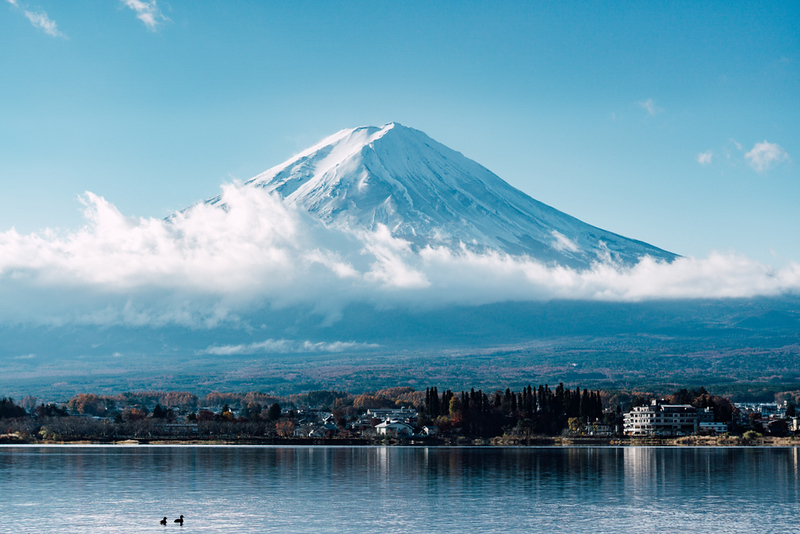 About 100km/62m west of Tokyo, Mount Fuji is the iconic symbol of Japan. While it's sometimes visible from tall buildings in Tokyo (on really clear days), if you're like most people, you want to get a closer look at the mountain or perhaps even climb it. During the climbing season, direct buses run from Shinjuku to the Fifth Station on the shoulder of the mountain. The rest of the year, buses run to towns around the base of the mountain. 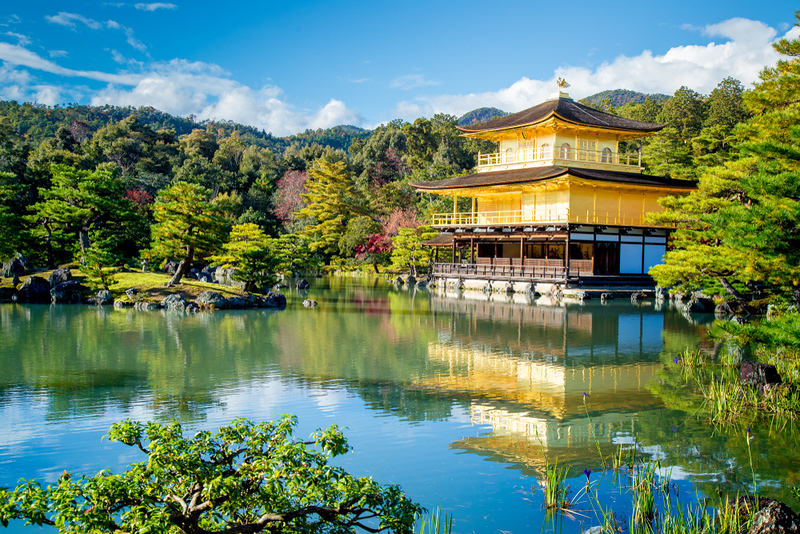 About 377km/234m west of Tokyo, Kyoto is the cultural capital of Japan and it is a must-see destination! It would be a real shame to come to Japan and not visit Kyoto, especially if you don't plan on returning for a while. While you should try to spend as long as possible in Kyoto, if you have limited time, you can actually visit Kyoto as a day trip from Tokyo. Sure, it will be a long day, but if you leave around 8am, you can do 6 hours of sightseeing in Kyoto and be back in Tokyo in time for a late dinner. And because the shinkansen (bullet trains) are so comfortable, it's not even that tiring. Highlights: Temples, shrines, gardens, geisha, everything! 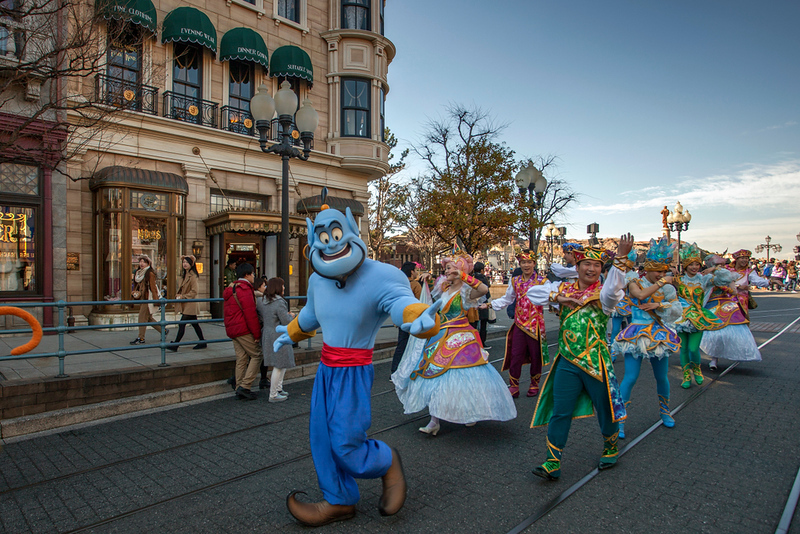 About 12km/7m west of Tokyo, Tokyo Disneyland is a must-see attraction for many families visiting Japan. It’s as good as any Disneyland anywhere, and you’ll find all the famous attractions you’d expect. And, right next door, you’ll find DisneySea, a marine-themed amusement park that deserves a full day to enjoy. Highlights: Rides, characters, parades, fattening food! 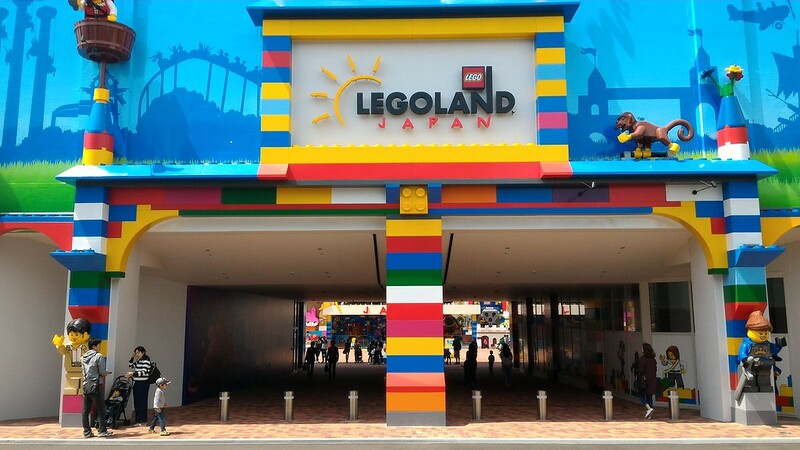 About 275km/170m southwest of Tokyo, Legoland Japan is located in the harbor area of Nagoya, which is just 1 hour and 40 minutes from Tokyo (you change to a local rail line for the journey from Nagoya Station down to Legoland). It’s a great attraction for younger kids. And, nearby, you’ll find the excellent SMMAGLEV and Railway Park, which is a world-class train museum. You can visit these as a daytrip from Tokyo if you get an early start. Otherwise, spend one night in Nagoya. About 410km/254m southwest of Tokyo, Universal Studios Japan is located on the waterfront of Osaka. 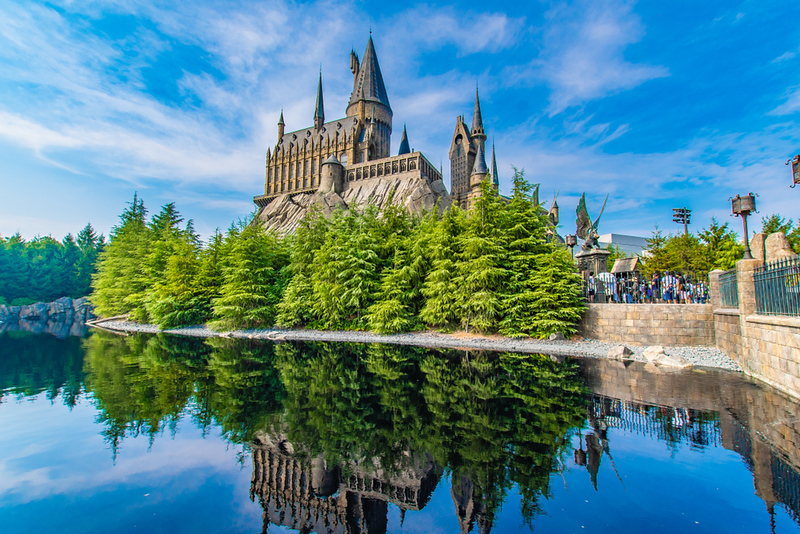 It’s arguably the best theme park in Japan, especially since they built the wonderful Wizarding World of Harry Potter attraction. It's not really a day trip, but you could overnight there and return to Tokyo if you wished, or spend a night or two in Osaka to explore the city. 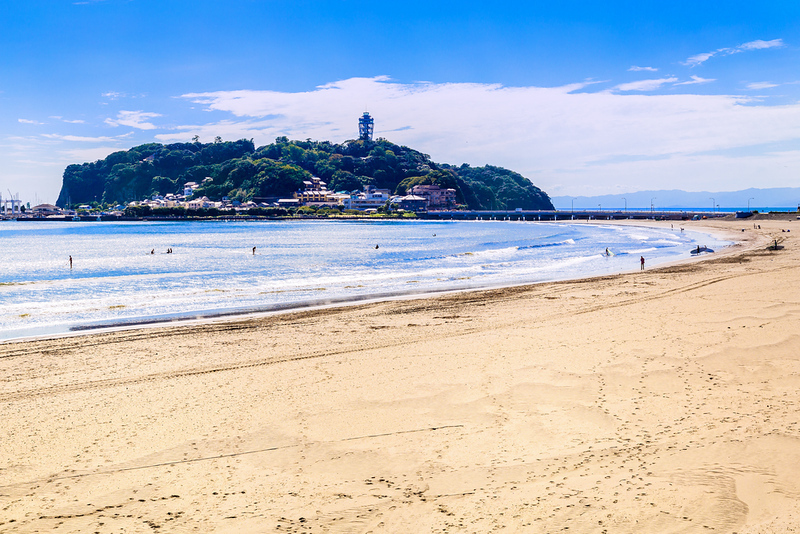 About 50km/31m southwest of Tokyo, the island of Enoshima is a small island connected to the mainland by a causeway. It’s been a tourist attraction for as long as there have been tourists in Japan. This means it’s rather overdeveloped and slightly tacky, but in the right mood, it can be a lot of fun. 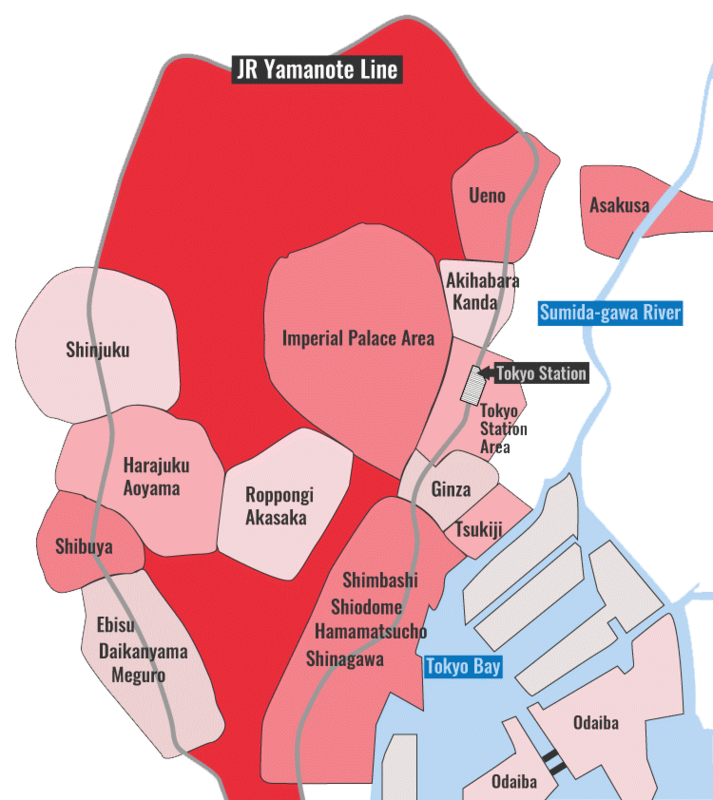 And, it can easily be combined with a trip to nearby Kamakura (see earlier on this page). About 18km/11m west of Tokyo in the suburb of Mitaka, the Ghibli Museum is a must for any fan of Hayao Miyazaki’s magical anime films like “My Neighbor Totoro” or “Spirited Away.” The museum is as magical as his films and adults will enjoy it as much as children. The museum is located in Inokashira-koen Park, which is a huge expanse of fields, forests and lakes that will come as a relief after a few days in the urban madness of Tokyo.